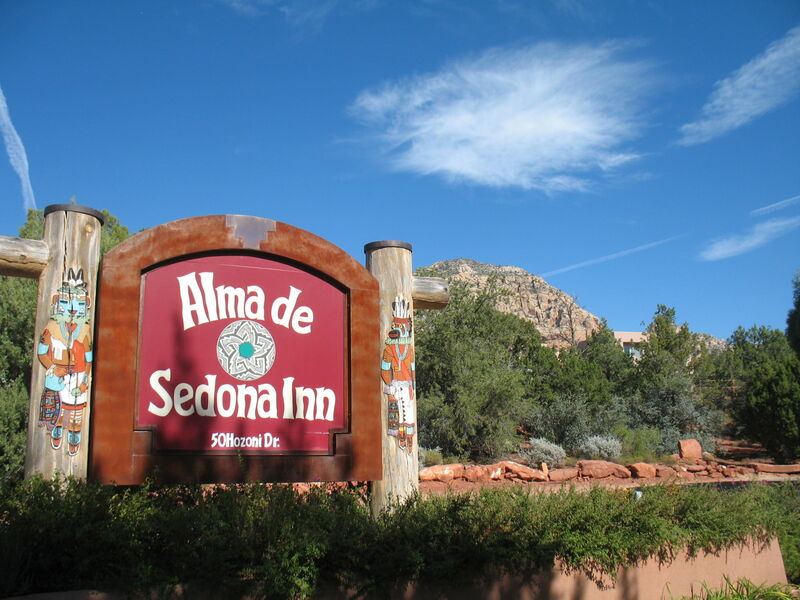 The Alma de Sedona Inn is tucked away in a very secluded neighbourhood of Sedona, and this exquisite privately owned bed and breakfast inn offers up quite a few unexpected surprises. First of all, it’s not so much an inn, more a series of very tasteful, arty and spacious hill top apartments, each with their own patio and luxurious furnishings including state of the art Jacuzzi bathrooms with scented candles and home-made bath salts made from Dead Sea salt, almond & vitamin E oils, lavender, chamomile, ginger and orange essential oils. 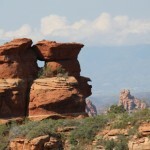 The next welcome surprise is the view; Sedona’s red rocks are legendary, but to get your very own front row seat overlooking Thunder Mountain and Cathedral Rock is something else entirely. Then there’s breakfast; a beautifully prepared gourmet meal served out on the pool patio, with nothing but the wind chimes to disturb your morning reverie. 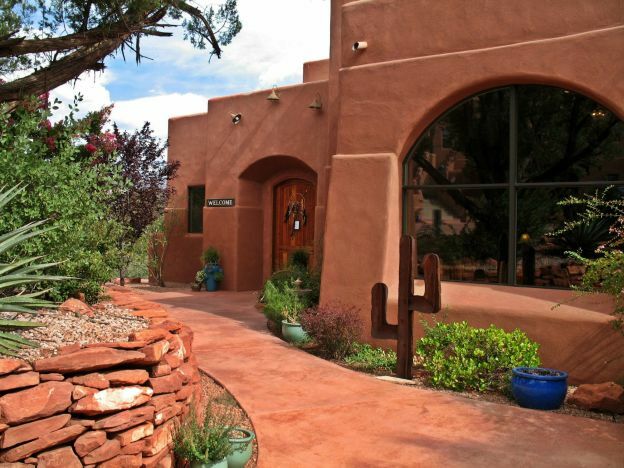 The main lodge has large comfortable sofas to relax in, particularly in the afternoons, when you can sample the Innkeepers’ special blend of raspberry lemonade, mint iced tea and home-made cookies. 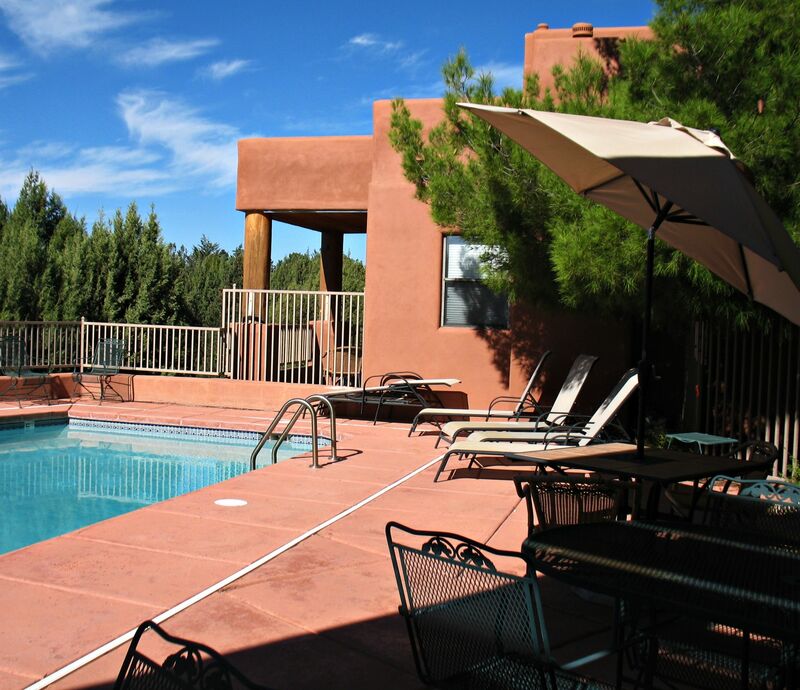 The Alma de Sedona Inn is an impeccable property in a stunning part of Sedona. Miss this at your peril. 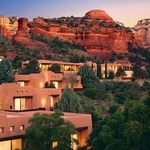 How much does it cost to stay at Alma de Sedona Inn? 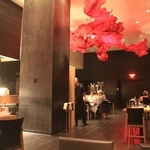 Apartments from $209 including breakfast.